What is Lifetime Value Calculation? Lifetime Value Calculation is the process by which a business measures the value of a customer to the business through the customer’s full lifespan. Customer Lifetime Value or LTV is one of the metrics used to measure the growth of a company. By comparing the LTV of a company to the cost of customer acquisition, it can calculate the value of a customer to the business over the period of time that they were associated with them. The LTV helps a company gain and retain highly valuable customers. 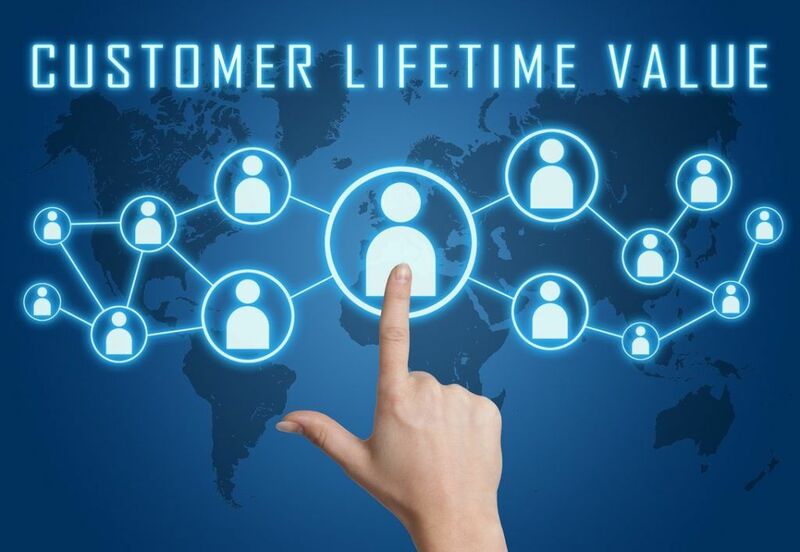 What is Customer Lifetime Value (LTV)? The customer lifetime value (LTV), also known as lifetime value, is the total revenueSales RevenueSales revenue is the starting point of the income statement. Sales or revenue is the money earned from the company providing its goods or services, income a company expects to earn over the lifetime of their relationship with a single customer. The customer lifetime value calculation accounts for the customer acquisition costs, operating expensesExpensesAn expense is a type of expenditure that flows through the income statement and is deducted from revenue to arrive at net income. Expenses are considered, and costs to produce the goods or services that the company is manufacturing. Many companies tend to overlook the LTV metric but the lifetime value of customers is essential to the growth of a company. How to Calculate the LTV of a Company? Average purchase value – It is calculated by dividing the company’s total revenue over a period of time by the total purchases made by its customers during that same timeframe. Average purchase frequency rate – It is calculated by the total purchases made over a period of time by the individual customers that made those purchases during that time. Customer value – It is calculated by multiplying the average value of the purchase by the number of times the purchase is made. Average customer lifespan – It is the average number of years that a customer continues to buy the company’s goods and services. Lifetime value calculation – The LTV is calculated by multiplying the value of the customer to the business by their average lifespan. It helps a company identify how much revenue they can expect to earn from a customer over the life of their relationship with the company. The average sales in a clothing store are $80 and, on average, a customer shops four times every two years. The lifetime value is calculated as LTV = $80 x 4 x 2 = $640. Furthermore, the profit margin in the clothing store is 20%, hence the CLV is as follows: CLV = $80 x 4 x 2 x 20% = $128. The lifetime value figure can help a business estimate future cash flows and the number of customers they need to obtain to achieve profitability. What Factors Contribute to Lifetime Value? The churn rate describes how often customers stop shopping at a business that they were once loyal customers of. The rate can differ from business to business and depends on the competitive advantage of the company and their ability to keep customers interested in their products. Usually, small businesses and startups tend to face a high churn rate. It measures how loyal the customers are to the brand and who keep buying their goods and services. Building brand loyalty can help retain customers and decrease the churn rate. A company with a lot of loyal customers will generate a high lifetime value. How to Increase the LTV? Open communicationCommunicationBeing able to communicate effectively is one of the most important life skills to learn. Communication is defined as transferring information to produce greater understanding. It can be done vocally (through verbal exchanges), through written media (books, websites, and magazines), visually (using graphs, charts, and maps) or non-verbally between the business and the customer can help a customer relate to the brand better. It is important for companies to listen to feedback from their customers as it can help them improve and grow. Effective communication reduces the churn rate as well. An effective way to increase LTV is to engage with customers who previously purchased goods and services from the company. It is particularly useful for companies with a long shelf life, and it can help improve brand recognition. The lifetime value of a company can help with future growth projections and increase profitability. LTV can be increased by implementing strategies to increase brand loyalty. CFI is the official provider of the Financial Modeling and Valuation Analyst (FMVA)™FMVA™ CertificationThe Financial Modeling & Valueation Analyst (FMVA)™ accreditation is a global standard for financial analysts that covers finance, accounting, financial modeling, valuation, budgeting, forecasting, presentations, and strategy. certification program, designed to transform anyone into a world-class financial analyst. Walmart Marketing MixWalmart Marketing MixWalmart is a powerhouse of a business, and one of its key strengths is its marketing mix. Surviving in the retail market requires more than just luck or a large capital base. For such a large business, Walmart’s management practices give it continuity. Their success lies in the Walmart Marketing Mix. Learn the most important valuation techniques in CFI’s Business Valuation course! Step by step instruction on how the professionals on Wall Street value a company. 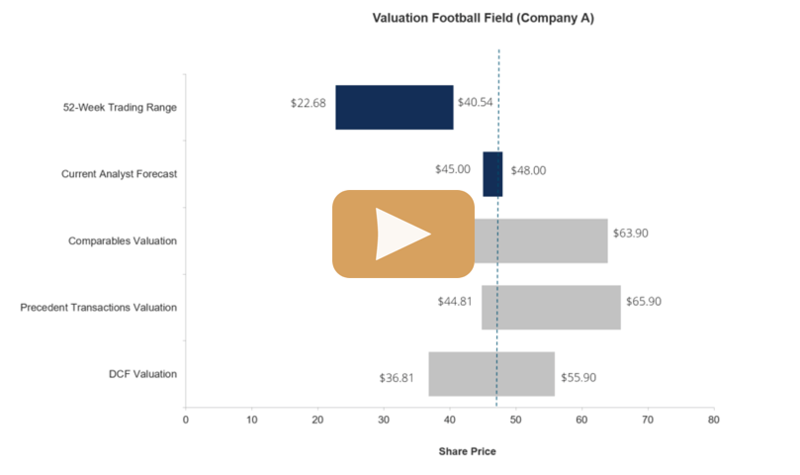 Learn valuation the easy way with templates and step by step instruction!